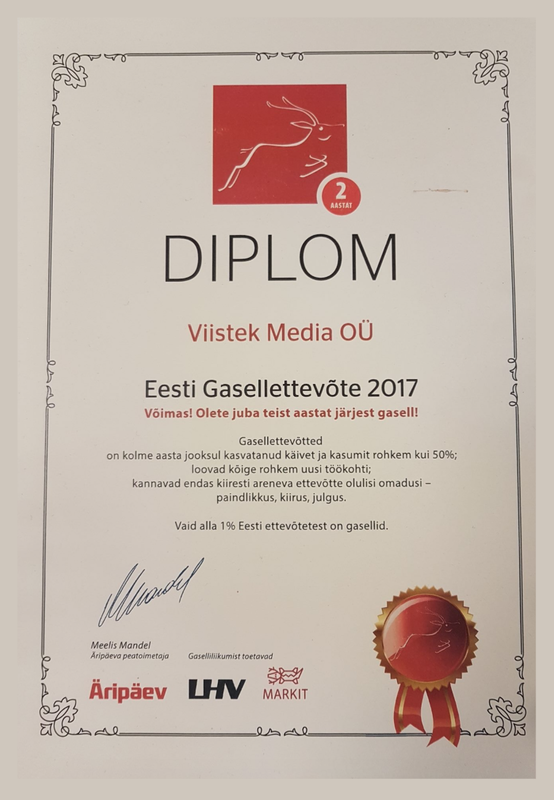 ViisTek is proud to achieve the much-respected Gazel award for the second year in succession! The Gazel award represents the top growing companies in Estonia and, as such ViisTek was asked to represent Estonia in the European Startup competition. “We continue with our steady growth and development while maintaining our working methodologies and stability. After seven years in business we feel comfortable moving forward, while taking the business in new and exciting directions, with a firm focus on innovation and technology”, Said Ethan Halevi, one of ViisTek’s Co-Founders.